Have a different weekend with the sound of the waves and the best sunsets, a walk on the beach will set you free and make you feel a live again. 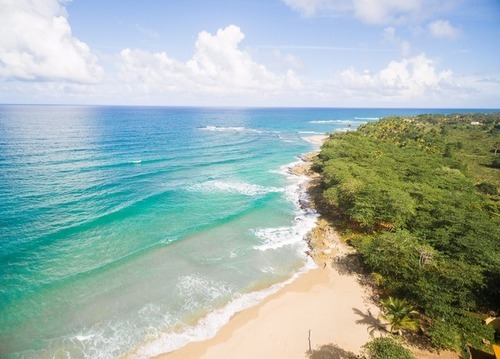 This is what you get in this Beachfront Hotel in the north coast of the Dominican Republic. 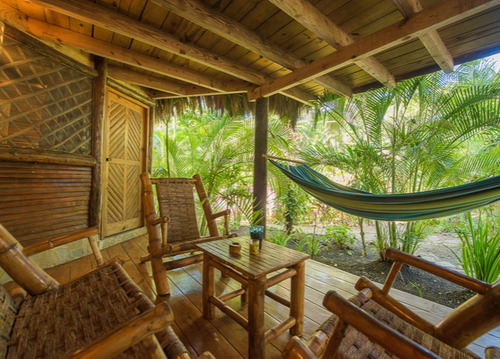 Relax your senses at this stunning boutique hotel Costa Rican style, just for you, set on a Paradise private beach near Cabarete, surrounded by natural wonder. 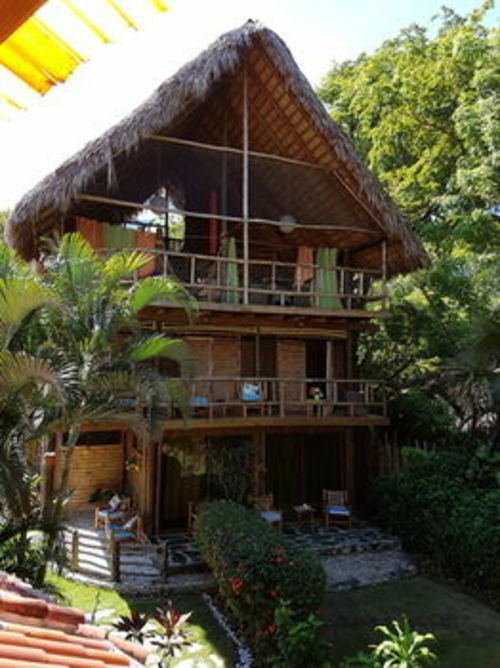 An award winning eco-chic mini resort with 7 eco-buildings and a tree house, all made of natural woods, local materials, open structure unifying with the ocean and nature, native decoration and one modern Spanish Villa with AC. 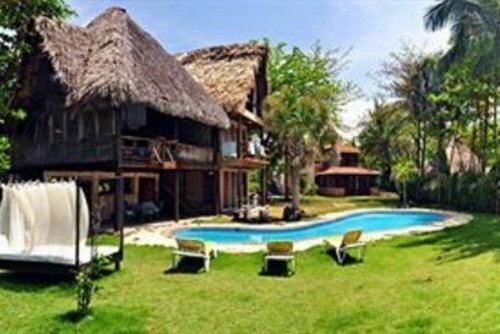 This intimate mini resort beachfront features 2 swimming pools, 2 Jacuzzis, massage and yoga meditation deck, beach bar and restaurant. No crowds, no pushing, no lines, no cars, no motors. After a great diner and party at the bar or a night out in town, enjoy a good sleep to the sound of the waves and wake up with the birds. 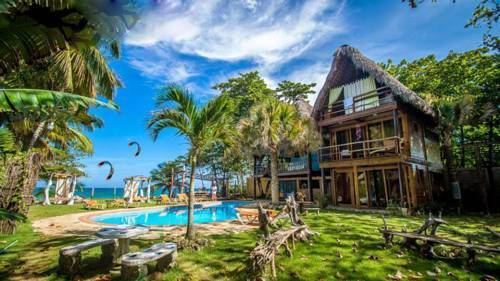 Choose the gorgeous large open Eco Bungalow, Casa Tarzan, all for you (140 m2) right on the beach, the stunning Giant Eco Penthouse Crusoe (150 m2 3rd and 4th floor) 360-degree view of the beach, the 7 Eco luxury suite (2 to 4 people), the elegant Tree House Suite and Penthouse, or the modern Spanish villa with 1 Suite and 2 bedrooms. Choose one of them in one of the 5 buildings or take the whole property just for you with a private beach. Discover what many celebrities love about it! 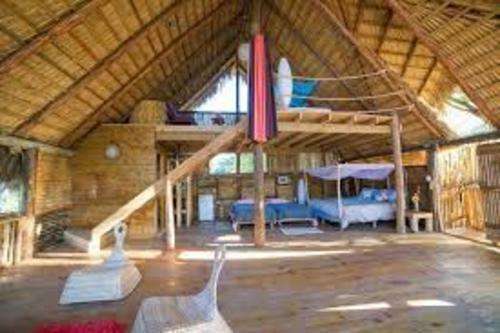 Eco chic, exotic decoration and furniture, river stones bathrooms, everything you need to please yourself, a unique piece of paradise where you will be treated like Royalty”. Organic orchard, floating bridge, exotic birds and animal area. 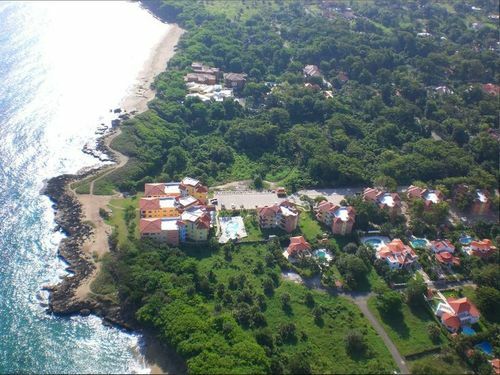 Showcasing an outdoor pool and views of the sea, Cabarete Maravilla Ecologic & Beach is located in Cabarete. 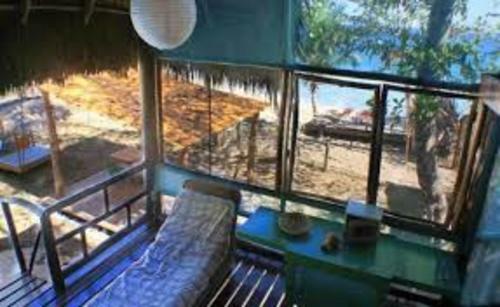 The hotel has a barbecue and a private beach area, and guests can enjoy a drink at the bar. 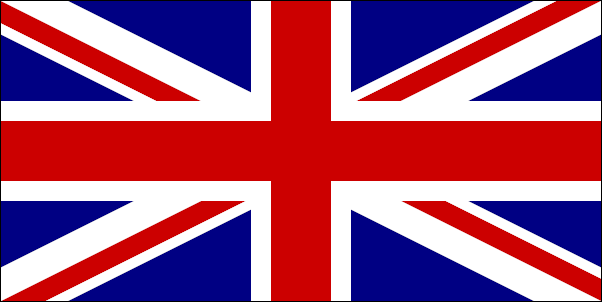 TV cable channels, wifi as well as an iPod docking station are provided. Certain units have a sitting area where you can relax. A terrace or balcony are featured in certain rooms. All rooms have a private bathroom. 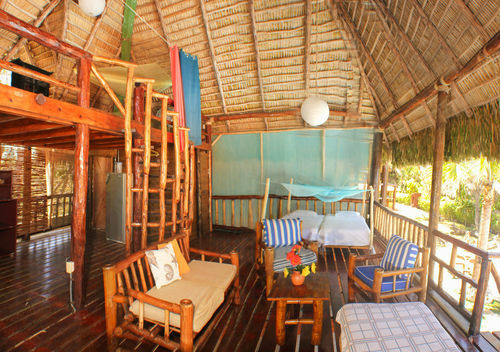 A variety of activities are available in the area, such as snorkeling, diving and biking. The hotel also provides free use of bicycles and car rental. 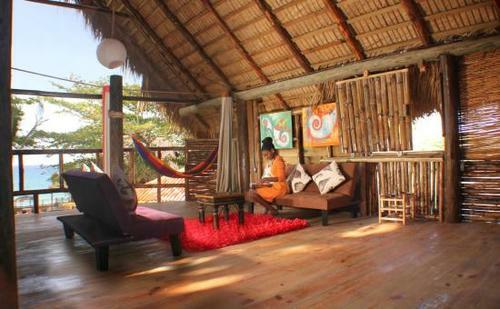 Sosua is 5.6 km from Cabarete Maravilla Eco Lodge, and San Juan river is 41.8 km from the property. 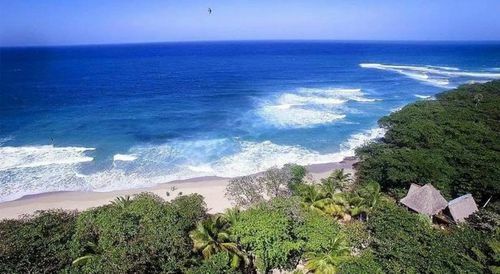 The nearest airport is Gregorio Luperon Airport, 11.3 km from Cabarete Wonderful Beach. 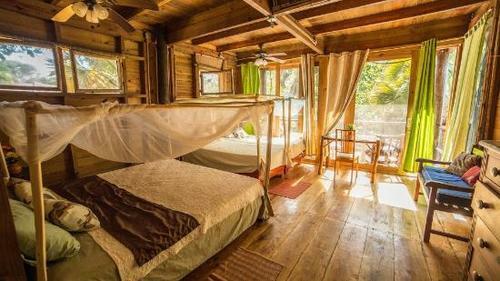 This beautiful Ecological hotel has 18 units with beach view, all made of wood and natural materials, 2 pools, gardens and different areas to enjoy, close to Cabarete where you will find several restaurants and other amenities. This investment will give you the dream of living in Paradise and get good income of it. For more information please fill the form to contact us.